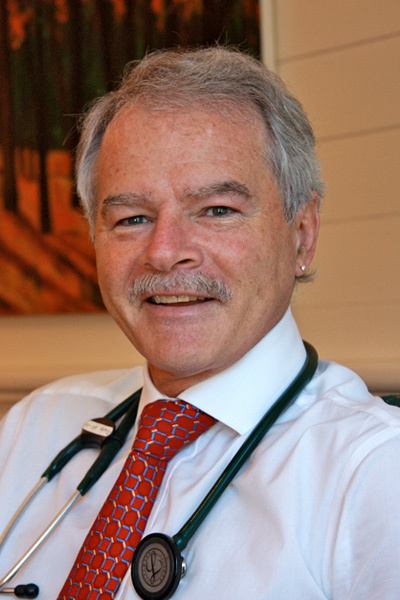 Dr Bob Lodge is a Consultant Physician in Internal Medicine (Consultant General Physician). He obtained MB, BS at Monash University in 1977 and Fellowship of the Royal Australasian College of Physicians (FRACP) in 1985, after completion of post-graduate training in Oxford UK (1983–1985). Prior to 2002, when he moved to Bangalow in NSW, Dr Lodge had been based in Melbourne, VIC. His professional appointments included Senior Physician in the Department of Internal Medicine, St Vincent’s Hospital, Melbourne; Director of the Stroke Unit, St Vincent’s Hospital, Melbourne; Physician to Coronary Care Unit, St Georges Hospital, Melbourne; and, he practised as Intensive Care Unit Physician at St Vincent’s Hospital, Melbourne and St Vincent’s Private Hospital in Melbourne. He had teaching and examining roles at the University of Melbourne and the Royal Australasian College of Physicians and was an Honorary Senior Fellow of the Faculty of Medicine at the University of Melbourne. Currently, he has an appointment as Senior Lecturer, School of Medicine, Griffith University, QLD. Whilst practising across the broad width of Internal Medicine, Dr Lodge has a special interest in Neurological diagnosis and management, particularly Parkinsons disease, Motor Neurone Disease and Stroke. Other special interests are Diabetes and Endocrine disorders (thyroid, pituitary and adrenal); assessment and management of Cardiorespiratory disease; and, the “Art and Science of Diagnosis”.